Unlock Your Rogers or Fido iPhone Permanently! Unlock the iPhone X, 8, 7, 6 and 6S (plus), SE, 5S, 5C, 5, 4 From any carrier in the world! Get Factory Unlocked by going to our iPhone Unlock Page to order the iPhone unlocking service. Looking for a factory iPhone Unlocking Solution? All of our unlocking services are Official iPhone unlocks, permanent and lifetime warranted! We offer 100% money back if we can not unlock your iPhone. Your iPhone 6, 6S pIus is locked to a carrier and you have found out that you can't use it when travelling or simply switch your network provider? In which case you're probably tired looking for ways to find out how to officially unlock your iPhone 6, 6 plus for free. This guide about unlocking an iPhone 6 or 6 plus will give you a deep understanding of exactly what you should you do to unlock your iPhone. 1. Unlock iPhone 6, 6S plus using software? This method will not work on any iPhones after the 3GS! Apple updated their operating system from iOS 5 and we have not been able to unlock our iPhones using Software since. If you've found a website offering or selling Software to unlock an iPhone, it is definitely a lie! Be Careful when dealing with such companies that offer a price and service too good to be true! They will either take our payment information (credit card) and reply by saying sorry we cannot unlock it at this time (while reselling your credit card info and later you find out that there is fraudulent charges on there) or they will infect your computer with malware / spyware. STAY AWAY FROM ALL (PRETEND) SOFTWARE UNLOCKS FOR iPhones as it is just not possible! 2. Unlock iPhone 6, 6S plus using a Gevey SIM? So now I think you understand how it works. But what is the restriction when using a Gevey SIM? Your iPhone will not be stable! iPhone may gets trouble such as: overheat, battery lifetime is decreased... And especially the signal is weak and frequently drops out. 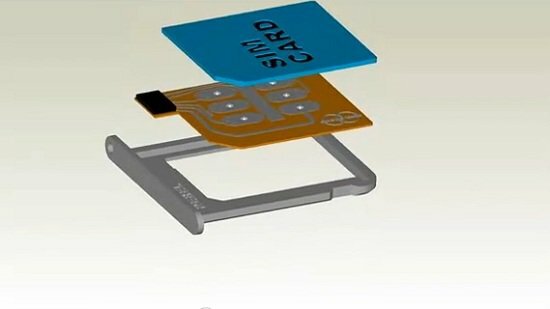 The main problem is that these GEVEY SIMS are not reliable, they will burn out and stop working at any given moment, meaning your phone will get relocked unexpectedly. By inserting invalid equipment into your iPhone, you will void the Apple warranty and if anything goes wrong with your iPhone by using it, you will have no chance to get a new iPhone from Apple as per their policy. So, I recommend you to continue reading the last method because it's the only legit way that does not void your Apple Warranty. So, what is the benefit of using an "Official Factory unlock"? Once the unlocking is completed, you just need to connect it to a Wifi network or iTunes, and your iPhone will be unlocked automatically! This unlock is official! We unlock your iPhone by whitelisting the iPhone IMEI number from the carrier and Apple database. So this method is lifetime unlock. Your iPhone will never get relocked in the future, even if you restore it in iTunes, upgrade iOS version, etc. All the features will work without any trouble, and now there is no more network restrictions! How to unlock iPhone 6, 6S plus with CanadaUnlocking.com? Step 1: Go to: Select your Model from the list! Step 3: Insert your iPhone IMEI number then click "NEXT". Finally, select your payment method and wait for our confirmation email.